He even plays with a STICK on the keys at the end... just wait. 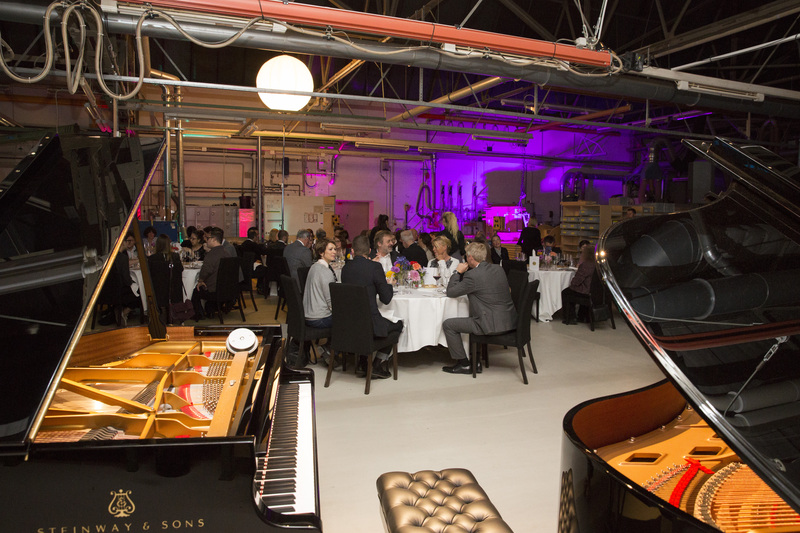 2017 was not only Classic FM's 25th Birthday – the piano manufacturer Steinway & Sons also celebrated their own special anniversary: 25 years of the 'Steinway Family'. The family is made up of three brands: Steinway & Sons, Boston, and Essex. We went along to the Steinway Factory in Hamburg to mark the occasion – and we were treated to a performance in the factory on all three makes. One of the performances was by pianist Joja Wendt, who blew our minds with this improvisation on Rachmaninov's ferocious Prelude in C sharp minor, touching on jazz and rock influences. He even used a plank of wood with inserted wooden stops to play the mighty large chords at the end of the piece (as we all know, Rachmaninov had extremely big hands). Then he played the music of Art Tatum, about whom legendary pianist Vladimir Horowitz is once supposed to have said: “If Art Tatum took up classical music seriously, I’d quit my job the next day”. Two young Steinway artists then joined Joja: 15-year-old Florian Albrecht and 17-year-old Alba Shkreli. Here's to the next 25 years of the Steinway family!